This March, Burnaby Mountain District partnered up with Simon Fraser University’s Let’s Talk Science to put on a fun-filled day of science at SFU campus. Volunteers from the various science disciplines lead girls through age-appropriate science activities. Younger girls learned about bacteria and fingerprinting, while older girls did things like extract DNA from fruit. In the afternoon girls participated in a science challenge. Above are some Guides building parachutes to help eggs survive a 2-story drop. 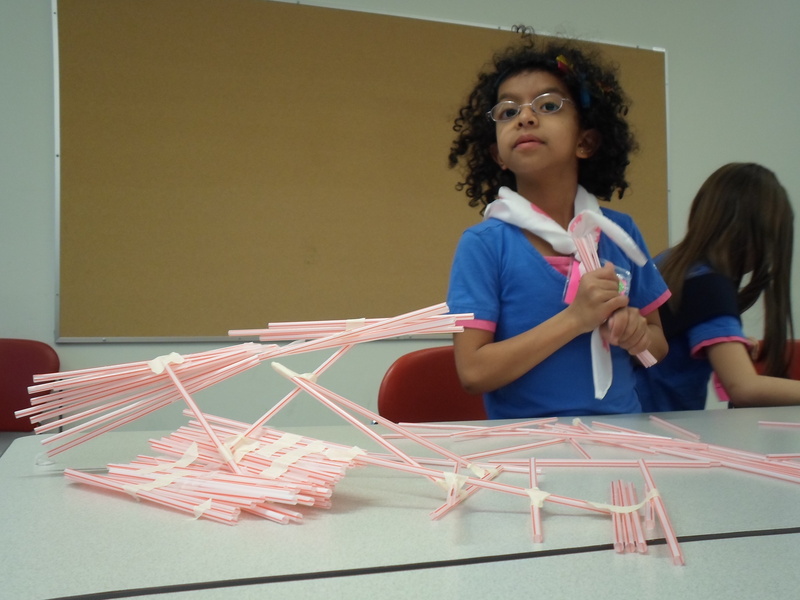 Meanwhile, below, Sparks worked on building tall structures using drinking straws. It was fun to expose the girls to science at the university with enthusiastic volunteers. 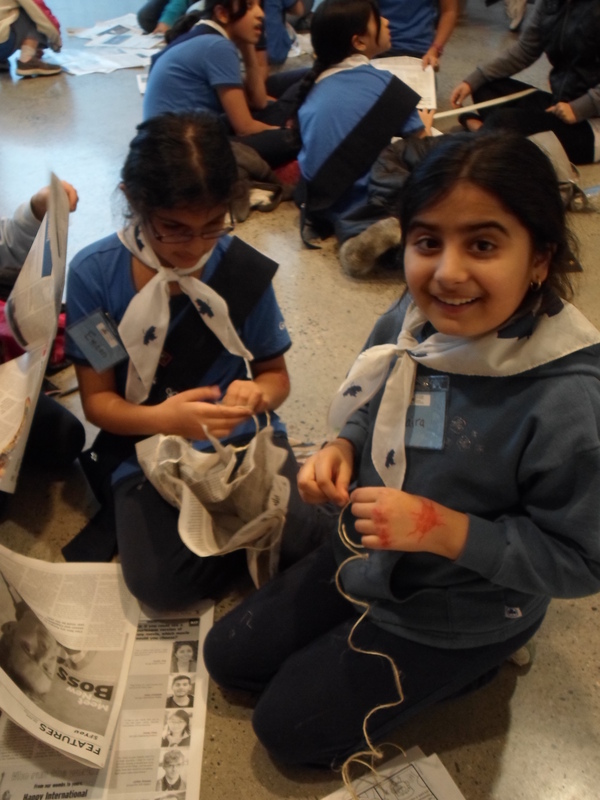 District Science Day was inspired by Girl Guides’ committment to engaging our girls with the STEM disciplines — Science, Technology, Engineering, and Math. The event was a huge success with a total of 95 girls and 21 Guiders from all twelve units coming out. A HUGE thank you to the people from Let’s Talk Science — we can’t wait to work with you again in the future!